The InterDesign Desk Storage Tower with 5 Drawers features 3 short drawers and 2 tall drawers for all your desk supplies. Store pencils, highlighters, pens, paperclips and more. 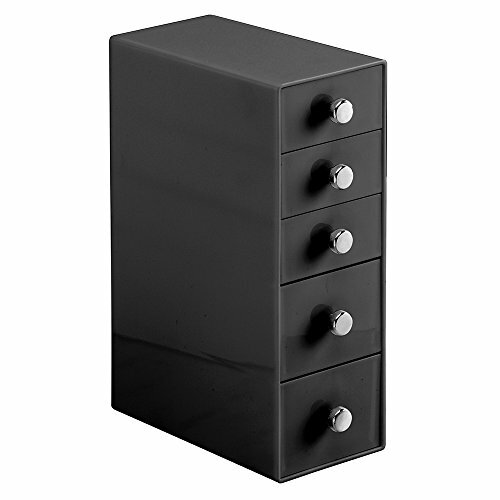 Use this versatile tower on your desk, counter, or for makeup and cosmetics!